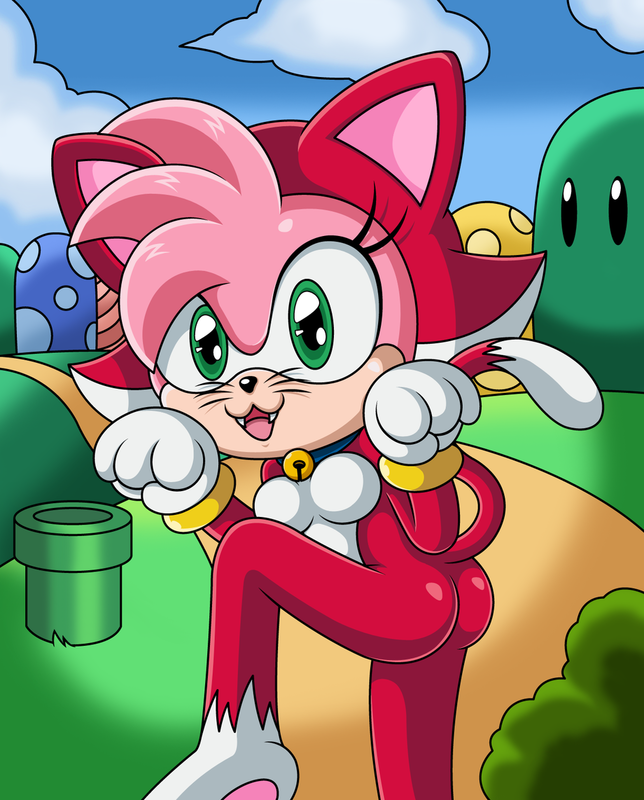 Amy found her way to the Mushroom Kingdom, she seems to enjoy the cat suit from Super Mario 3D World, you know I have to say, next to the cape I think this is my favorite item, at least in the 3D games. Well I finished this yesterday but had internet issues so I couldn't post it, while it took me about four weeks to finish due to a lot of distractions and extra work related stuff I finally finished it, hope you guys like it. All Sonic characters are copyright to SEGA and Sonic Team! eat your heart out sonic unleashed! !